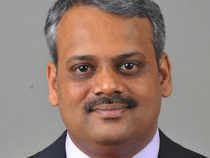 It will take three to six months for real growth to start in auto sector, says Kulkarni. The foreign institutional investors might stay away for a bit due to political uncertainties and the time of entry will still be uncertain, Naveen Kulkarni, HoR, Reliance Securities, tells ET Now. Sonata Software, Cyient, Majesco are the top picks among IT midcaps and DCB among midcap private banks. What is the expectation from Eicher Motors? We are expecting the margins to contract. The launch cost and increased input cost could hurt the numbers. Is there anything that you are factoring in? Would there be a similar view when it comes to passenger vehicles as well? Across categories, one has the impression that other than Tata Motors because of JLR, even a domestic market leader like Maruti has been hurting on volumes? Banking as a space has been one of our favoured allocation area. I have been talking about Axis and ICICI Bank for a fairly long period and Axis has done pretty well in the last couple of months.